Perhaps you saw this post a few weeks ago ? SMOKIN Deal on Summer Beauty Box - I Ordered One ! 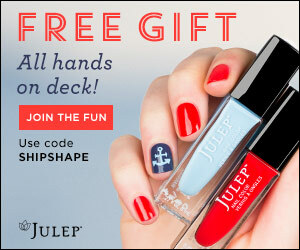 Where I shared with you ladies the break down of the amazing deal I got on Julep Summer Brights Welcome Box. 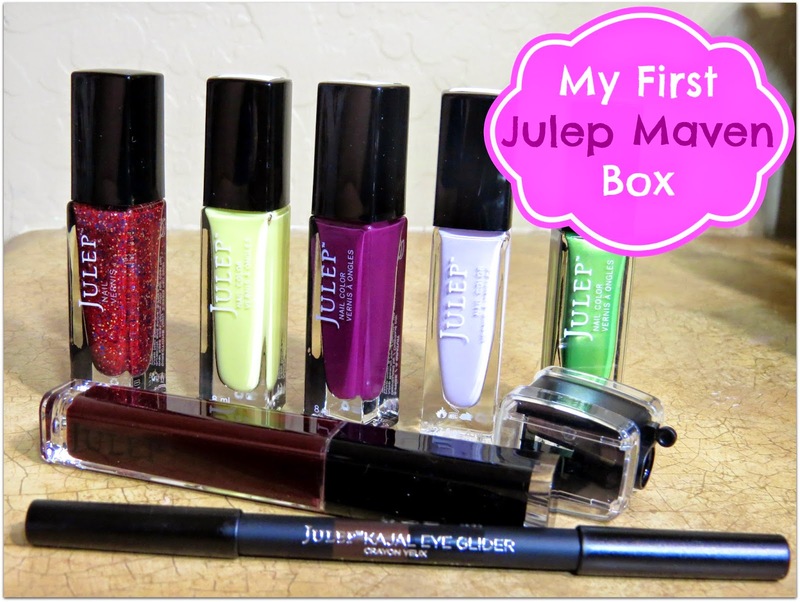 This is my very first Julep Maven box, so naturally I was super stoked for it to arrive ! Watch my unboxing video to see what exactly came in the box and how you can get one too !! Now keep in mind my box was $7.99 because I added 2 items to my cart along with the FREE Summer Brights box. I got the $2.99 America polish and a $5 Mystery Polish which ended up being Bea, a buttery yellow shade. Adding these items to the cart gave me free shipping ! Score ! While I don't feel like all of these colors scream Summer they sure are pretty! Also keep in mind that I don't believe that everyone who get the Summer Brights box will get the same shades. 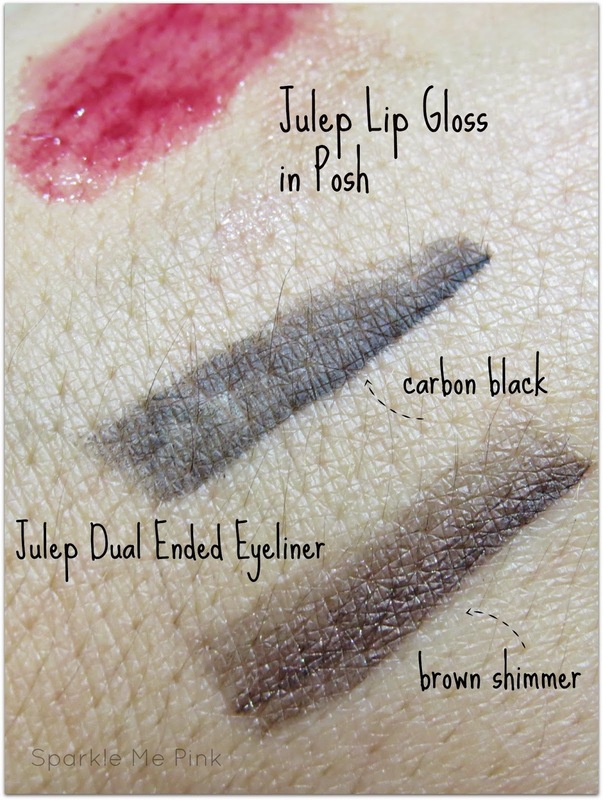 Here is a swatch of the Julep lip gloss in Posh and the Double ended eyeliner in Carbon Black and Brown Shimmer. The lip gloss is more of a tinted gloss than an opaque one. The eyeliner isn't really anything overly special to me. Just a normal pencil eyeliner. How gorgeous and festive is America ? I can't wait to put this over some white polish for the 4th of July. Bea is beautiful buttery pale yellow. Evelyn is a creamy radiant orchid shade. 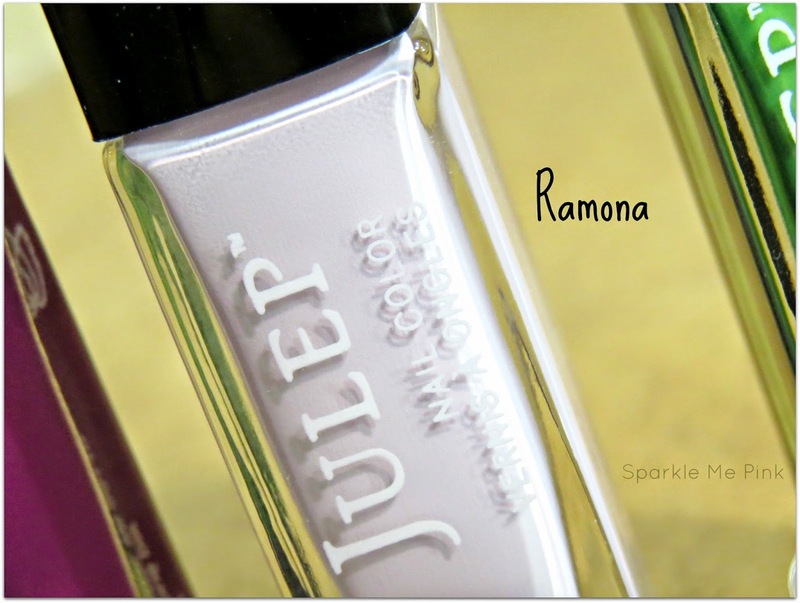 Ramona, Ramona, Ramona my favorite shade out of them all, a super pretty light lavender polish. This will look great against a tan ! 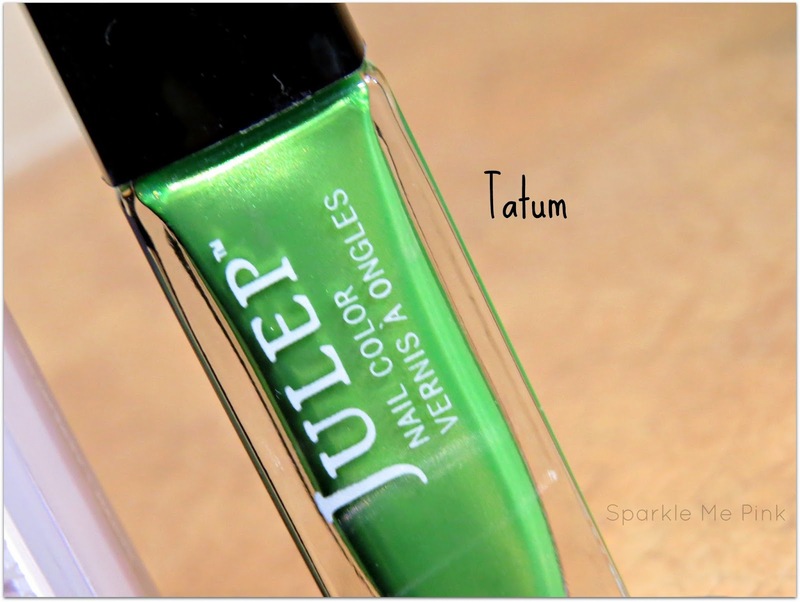 Tatum, a shimmer slime green shade which I think will be fun over a white base for a fun bright pop of color. Let me know in the comments below if you've ever gotten a Julep Maven box before. P.S. I will come back and add the links to any swatches / manicures I do with these polishes. <--- OH I almost forgot !! 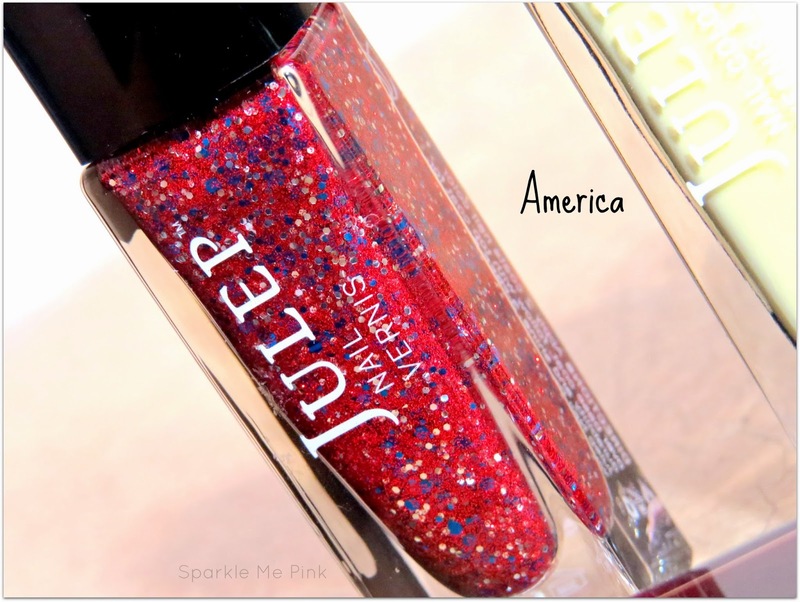 If Summer Brights isn't your style check out the fun Nautical themed box Julep just released ! *This is not sponsored. These products were not provided to me and as always these are my own personal, real thoughts and opinions. this looks awesome, i would love to try this stuff out!!! thanks for sharing i am definitely going to look into this brand! How did you get soo much? When i got my first "free" box I got 3 nail colors, some samples and nothing else. The 2ed box was a mess I got 2 nail colors from on collection and 2 more that I did not order. I canceled after tha 3ed box. Watched the video on you Tube & read a couple of articles & even was going to get the product for free - until I read that it was a monthly on-going subscription that woud cost around $25 a month for products I very rarely use. Maybe if I was younger, I might have taken the offer. The products do look appealing! 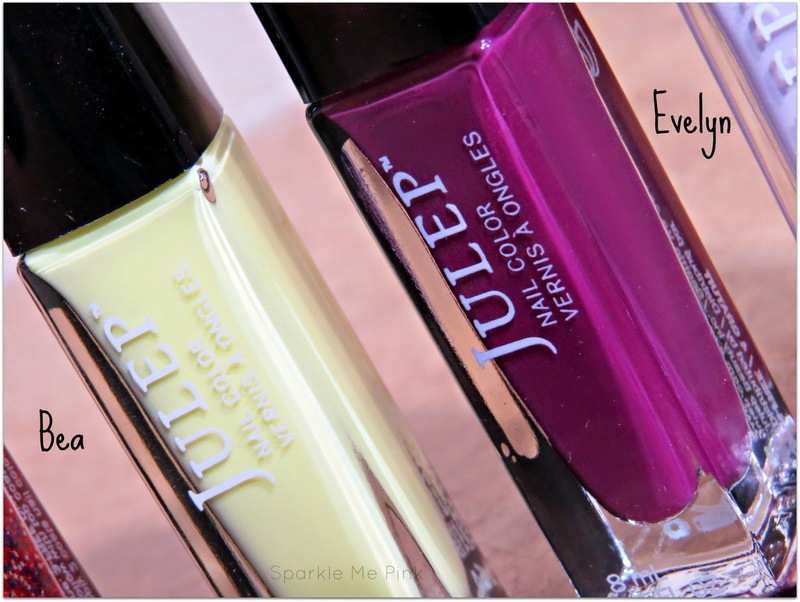 Never actually heard of Julep Maven before... but I absolutely adore the surprise boxes.